Don't paint your car. Reimagine it, transform it, wrap it, with RM car wrapping. We can take your car and turn it into something spectacular with a wide range of coloured and textured vinyl car wrapping films. Change the colour and impact of your car anytime you want, with acar body wrap. Our network of 3M Authorised Vehicle Wrappers can help to ensure that your vehicle wrap looks every bit as good as the original paintwork. Founded in 2003 by Julian Pearcey in Devon, UK. A Keen car and wheel enthusiast. Whilst searching for a high quality wheel for his track spec Honda Integra DC2, when he came across Rota Wheels in the USA, where they were a popular name on the car scene. 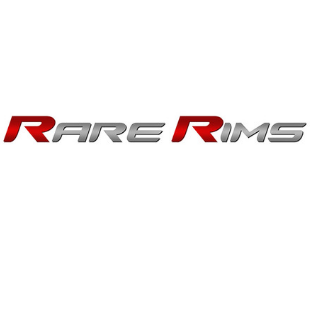 Their light weight and JDM styling were just what he was after, so he then set about importing the very first shipment of Rota Wheels to the UK, topping up his order with those from other enthusiasts to reach the factory minimum order. The rest, as they say, is history. Moving from his Dad's garage to a business premises in short order, then continuing to expand both in terms of staff and expanded premises, to the current situation of holding more than 12,000 wheels in stock in a single large warehouse and bespoke office setup. Making them shine since 1999! Auto Finesse leads the way in Herts and Essex for car detailing services and for pushing the boundaries on what is a new and exciting time for the industry as detailing starts to become a more widely recognised service. Established in 1994 and now with over 7,000 subscribed members, the MX-5 Owners Club is the World’s largest MX-5 Club. Members gain a wide range of ownership benefits, discounts and great rates from the Club’s insurance partners, a UK wide network of Areas and club coordinators as well as Local, National and International events, Club magazine ‘Soft Top Hardtop’ and a forum with unrivalled ownership knowledge. The Club help’s you to get the most out of MX-5 ownership. Davanti tyres are developed and manufactured by industry experts using advanced tyre technology at our world leading manufacturing plant. An enhanced silica compound combined with our innovative tread designs means every Davanti tyre is built for ultimate performance, efficiency and comfort.